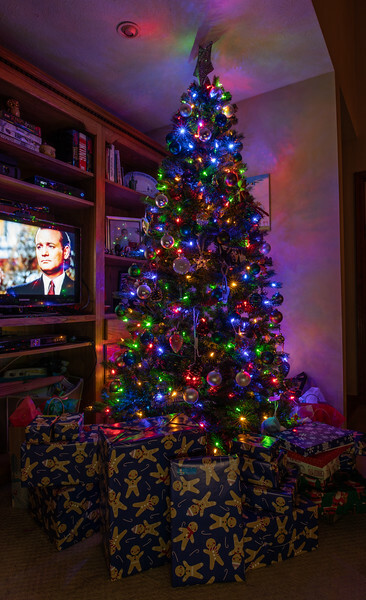 Every year I make a photo of our family Christmas tree just before midnight. I can’t be out there at midnight you know because I will get in the way of Santa. I wouldn’t want to injure the man before he is done with his job for the night. The challenge every year is doing something different, but at the same time you can only make so many photos or your tree that can look different. This year I decided to add the Christmas movie that I was watching which was Scrooged into the photo. Bill Murray pretty much makes everything better. Merry Christmas to all of you that read this blog. I hope that your day is filled with everything that you have dreamt of.